Kim is a Founding Member of the firm and has extensive jury trial and civil litigation experience throughout Northern Illinois. Kim counsels and represents individuals and companies in areas of transportation law, construction law, commercial law, contract law, bodily injury disputes, premises liability, and risk management. 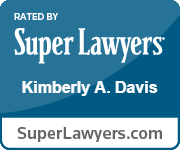 Kim has written several legal articles and has given local, state and national presentations on accident investigation, brain injuries, civil litigation, and/or jury trial techniques. She is very active in bar associations, and has served as a board of director, voting body member, President, and/or committee chair for numerous legal associations in Illinois. Freshman Female Athlete of the Year, 1983-4, Morton College. Author, Legislative Caps on Medical Malpractice Damages Strikes Out, Illinois Staet Bar Assocation, Bench and Bar Newsletter, Vol. 40, No. 6, April 2010. 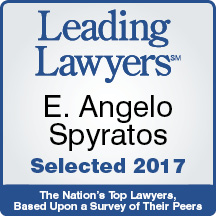 Author, “Physician” Nets Reasonable Rate of $66.95 per Hour for Deposition, Illinois State Bar Association Trial Briefs Newsletter, Vol. 55, No. 8, April 2010. Author, Relief from Uninsured and Underinsured Motorist Arbitration Award, DCBA Bar Brief, Vol. 20, Issue 9, June 2008. Author, The First District Examines Standard for Reviewing Section 2-615 Motions in Legal Malpractice Cases and Clarifies the Solvency Rule, Illinois State Bar Association Trial Briefs Newsletter, Vol. 53, No. 9, April 2008. Co-Author, Petitions for Relief from Judgments under 735 ILCS 5/2-1401, Illinois State Br Association Trial Briefs Newsletter, Vol. 52, No. 8, April 2007.